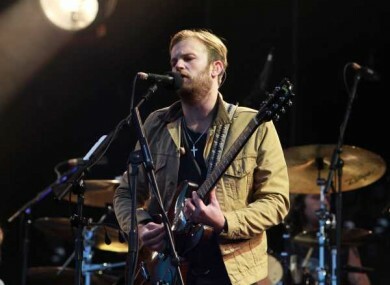 Caleb Followill from the Kings of Leon plays at Slane. TENNESSEE ROCKERS KINGS of Leon played to a packed Slane Castle yesterday as 80,000 music lovers and revellers descended on the tiny Meath village. Celebrating 30 years of Slane concerts and the 60th birthday of the castle owner Henry Mountcharles, the famous natural amphitheatre welcomed indie bands such Elbow, White Lies and The Whigs. The main act took the stage just after 9pm and played all their major hits as well as songs from the new album. So good was the concert and the crowd that Nathan Followill last night tweeted that it was “the most memorable show of my career”. Email “Watch: Kings of Leon rock 80,000 people at Slane Castle”. Feedback on “Watch: Kings of Leon rock 80,000 people at Slane Castle”.